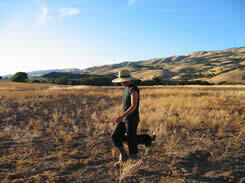 Mike and Jan Canaday have over 30 years experience in ranching and in training border collies for livestock handling. They are respected members of the border collie community and Mike served as president of the United States Border Collie Handlers Association from 1999-2004. Mike is one of a handful of dog handlers that has placed in the top ten of both the National Sheepdog Finals and National Cattledog Finals. 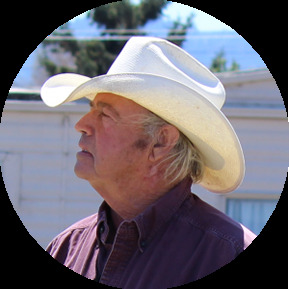 Mike and Jan are breeders of registered White Dorper sheep, with extensive experience grazing both sheep and goats on small- and large-scale projects throughout California. In the early years of Living Systems Land Management (LSLM), prior to the company acquiring its own herds, Mike and Jan provided animals to the company and were instrumental in its development. They purchased LSLM in 2012 and are committed to the company vision as it has grown and evolved over the last several years. Jared is responsible for the design and implementation of sustainable systems - developing models that emphasize environmental ethics, fiscal responsibility, and practicality. Jared provides a deeply committed insight and vision and is responsible for streamlining corporate practices and managing the image of LSLM. He maintains numerous partnerships within the private and municipal sectors, developing and implementing innovative resource management models that cross-cut bureaucratic boundaries and allow for efficient management of extensive land holdings across California. Charlotte Lewis was the heart of Living Systems Land Management from its inception up until her passing in December 2011. She was a woman with an extraordinary capacity for affecting her community. Aside from running LSLM, Charlotte held a full-time teaching position at the Institute for Transpersonal Psychology in Palo Alto and was a co-founder and maintained a private practice at Stillpoint Center for Depth Psychotherapy in San Francisco. During her graduate school training, Charlotte was introduced to Daoist thought, Jungian psychology, and ecopsychology which, along with mystical Christianity, informed her life and practice. Living Systems provided her a vehicle of service to family, community, and the earth. As Director and Analyst with LSLM, Charlotte participated in the construction and implementation of community-based ecological models for resource management. 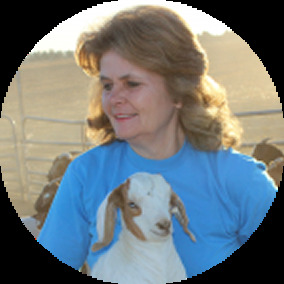 She served as one of our marketing and educational outreach persons and took great pleasure in seeing the delight and healing the animals bring to the communities we serve. In Charlotte's words, "The practise of spritual psychology and holistic land management create a great balance in my life. I have the blessing of working to bring balance and wholeness to both the inner and the outer worlds." All of us here at Living Systems Land Management will hold Charlotte in our hearts as we continue to pursue this vision of inner and outer well-being. Living Systems would not be able to serve you without our dedicated shepherds, who are at work 24-hours-a-day and 7-days-a-week tending our animals. Stay tuned for shepherd profiles!